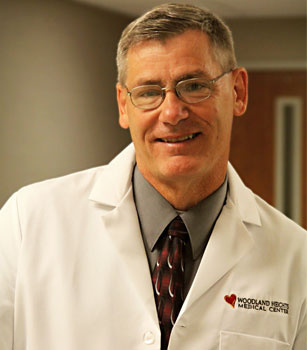 Woodland Heights Cardiothoracic Associates provides diagnostic services and surgical treatment for heart and lung-related conditions, including heart disease, bypass surgery, valve repair, and lung disease. We seek to provide individualized care for your condition while improving your quality of life. Our staff of board-certified surgeons provides compassionate, experienced heart and lung care, from treatment to recovery. Dr. Sees is now accepting patients in the East Texas area. To make an appointment, please call (936) 634-8854. "As a cardiothoracic surgeon, I understand the complexities of the heart, lung and vascular system." Dr. Sees has been specially trained in minimally invasive techniques for treating varicose veins. Click here to make your appointment now! Call us at (936) 634-8854. We are closed on New Year's Day, Memorial Day, Independence Day, Labor Day, Thanksgiving Day and two days at Christmas. When the holiday falls on a weekend, the offices are closed on either Friday or Monday. Please call (936) 634-8854 for more information. For your convenience, please fill out these forms in advance and bring them with you to your first appointment. Our team may be able to help you get health coverage from federal, state or county programs. Click here for more information. You now have health insurance. So, you're probably wondering, what's next? Click here to find out.